Today I had a second camera as I found dozens of Alligators gathered around an open water gate (trunk) catching fish and crabs. There was a clear order to things. Only the ‘Big’ locals could get up close to the water flow. Under 6 feet (1.8 m) stay back. This video is 12 seconds since I never shoot video. 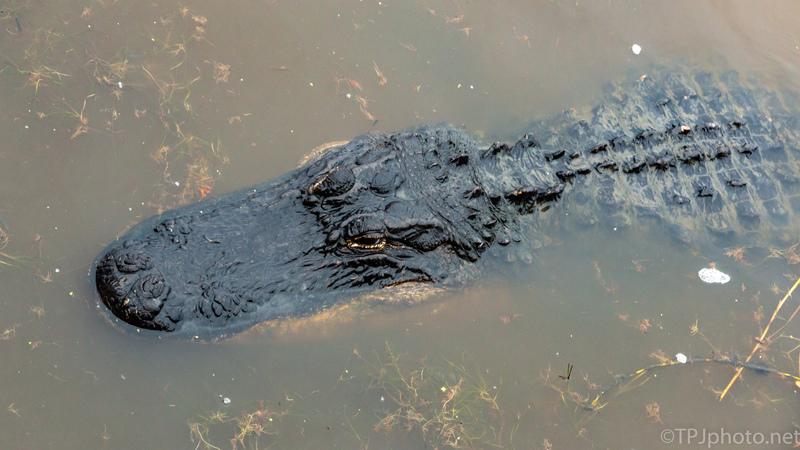 However I had a short lens and was able to capture this Alligator about 6 feet (1.8 m) below me. I would speed me running from such a close situation.